​Safety is an integral component in the development of Nilfisk industrial vacuum cleaners, pneumatic conveyors and centralized vacuum systems. In environments where industrial vacuum cleaners are used, dust clouds and possibly flammable gas or vapor are often present. Along with the oxygen in the air, that means that two of the three elements that can generate an explosion are in place. 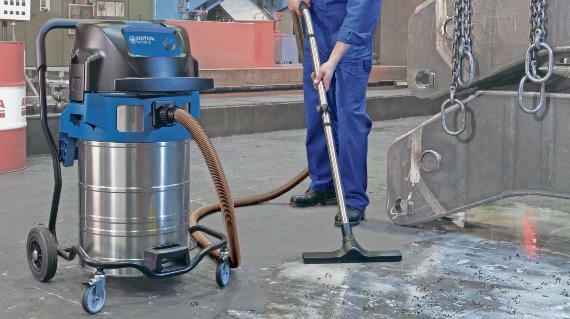 ATEX-certified Nilfisk industrial vacuum cleaners eliminate the third parameter: the trigger. Our vacuum cleaners are designed to prevent the triggering of any source of ignition, making vacuum cleaning operations safer.